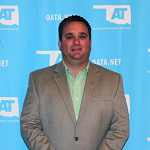 Darren Lunow began serving the Oklahoma Athletic Trainers’ Association in 2014 as President-Elect. Currently, holds the title of President. He was previously the Annual Meeting Chair during 2014 and 2015 and has been a contributing force on many other committees. Lunow is currently the Director of Sports Medicine for Central State Orthopedics. As part of his position he provides outreach athletic training services to Edison Preparatory, Wagoner and Victory Christian, all in the Tulsa area. While earning his bachelor’s degrees in Science and Athletic Training from Oklahoma State University, Lunow interned at the National Football League’s (NFL), Denver Broncos football club for two years. 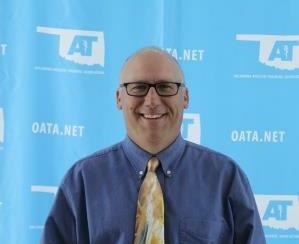 He then pursued his Masters of Education from the University of Oklahoma-Tulsa. Soon thereafter, Lunow was hired the Head Athletic Trainer at Bacone College from 2005 until 2008. In addition to his current professional responsibilities at Central States Orthopedics, Lunow also serves as an adjunct professor at Tulsa Community College. 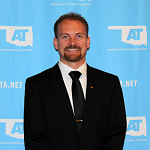 In 2012, Darren Lunow was awarded the Athletic Trainer of the Year award by the Oklahoma Athletic Trainers’ Association. He was also honored by Oklahoma Magazine’s 40 under 40 Rising Business and Community Leaders in 2015. Lunow and his wife Randi (Cook), who is also an athletic trainer, reside in Broken Arrow. Dr. Greg Gardner has served the Oklahoma Athletic Trainers’ Association (OATA) in numerous capacities since moving to Oklahoma in 1995. His current executive committee duties are that of Vice President. Previously he has held a number of committee positions including the State Representative to the National Athletic Trainers’ Association Research and Education Foundation from 1996 to 1998. In addition to serving the state association, Dr. Gardner has also served as President of the Commission on Accreditation of Athletic Training Education (CAATE) and is the U.S. Vice President of the World Federation of Athletic Training and Therapy. Currently a Clinical Professor of Athletic Training and the Department Chair of Kinesiology and Rehabilitative Sciences, Gardner has been employed at the University of Tulsa since 1995. He has served numerous roles at the university from being the Director of the Athletic Training Education Program to working with the Golden Hurricane Football Team. Dr. Gardner traveled the United States while pursuing his education and beginning his career. A native of Snyder, Texas, each of Gardner’s three degrees came from different states including Wyoming, Arizona. Gardner had several athletic training jobs at both the high school and collegiate level in Texas prior to earning his Doctor of Education from Southern Mississippi in 1995. While working in Oklahoma, Dr. Gardner was inducted into the OATA Hall of Fame and the Mid-America Athletic Trainers’ Association (MAATA) Hall of Fame and was awarded the National Athletic Trainers’ Association (NATA) Most Distinguished Athletic Trainer Award in 2011. Gardner and his wife Christi (Freeman) reside in Tulsa have three adult children: Michael of Colorado Springs, CO; James of Sand Springs, OK and Tom of Bloomington, IN. 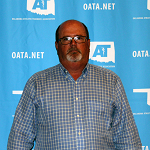 Bryan Dunn joins the Oklahoma Athletic Trainers’ Association as Treasurer after previously serving on the Secondary Schools Committee and being licensed in the state for 30 years. He is a graduate of Oklahoma State University and Broken Arrow High School. Dunn is currently employed as the Clinical Coordinator and Physician Extender at Total Care. His previous employments have been: Broken Arrow High School, Owasso High School, Eastern Oklahoma Orthopedic Center, Hilcrest Sports Medicine and the Tulsa Oilers Ice Hockey Team. He and his wife Dayna reside in Owasso and the couple has two sons, Parker and Brady. 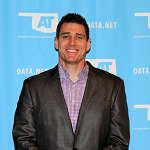 Leander Walker has served the Oklahoma Athletic Trainers’ Association since 2010 beginning as the Young Professionals Committee Chair until assuming his current role of secretary in 2013. Walker is the Head Athletic Trainer at Yukon Public Schools and is an instructor in the district’s Medical Professions Academy. Walker has been employed through the Yukon Public School System since August of 2007 and has been instrumental in developing the athletic training program into a staff of three certified athletic trainers. Under his direction, the school has earned the National Athletic Trainers’ Association Safe Sports School – First Team honors. While earning his bachelor’s degree in Athletic Training from Southwestern Oklahoma State University (SWOSU), Walker was awarded as the 2006 Outstanding Clinical Athletic Training Student. Since graduating he continued to give back to his Alma Mater by serving as clinical preceptor for the university. Walker has also been spotlighted as a SWOSU Distinguished Athletic Training Alumni and by the SWOSU College of Allied Health Professionals. His accolades also include a PowerPlay Athletic Trainer Spotlight. Currently, Walker also works as a consultant for Mercy Sports Medicine and Performance. He and his wife Randilyn (Warner) reside in Yukon with their daughter, Ella. Christopher “CJ” Fedor is a Sports Medicine Manager with McBride Orthopedic Hospital and has been serving as the Head Athletic Trainer for Bishop McGuinness Catholic High School since 2009. In addition, CJ serves as an adjunct in the Kinesiology and Health Studies department at the University of Central Oklahoma. CJ received his education from the University of Central Oklahoma where he graduated with both a Bachelor of Science in Education and a Master of Education in 2003 and 2004 respectively. He also holds a national certification in athletic training. His activities away from the office include being involved in several organizations such as the Knights of Columbus, Back to Sport Facilitator with the American Heart Association, and being a UCO Athletic Training Preceptor. CJ is also the founding donor to the Jeff McKibbin Endowed Scholarship in Athletic Training at UCO. He is also a member of the National Athletic Trainers’ Association, Mid American Athletic Trainers’ Association and a member of St. John the Baptist Catholic Church in Edmond, OK. In his free time he is pursuing a Master of Health Care Administration from Oklahoma State University and enjoys the lake, traveling and spending quality time with his wife Rachael and three children: Kaylie, Isaac and Josiah.